The Rotogua thermal system is located on the North Island of New Zealand. This is an active thermal system where gold deposits are known to be forming at the present time. The broad magnetic low with fairly sharp boundaries lies over a recently active geothermal system. The geothermal activity has destroyed the magnetite in the country rock and is responsible for the reduced magnetic intensity in this zone. 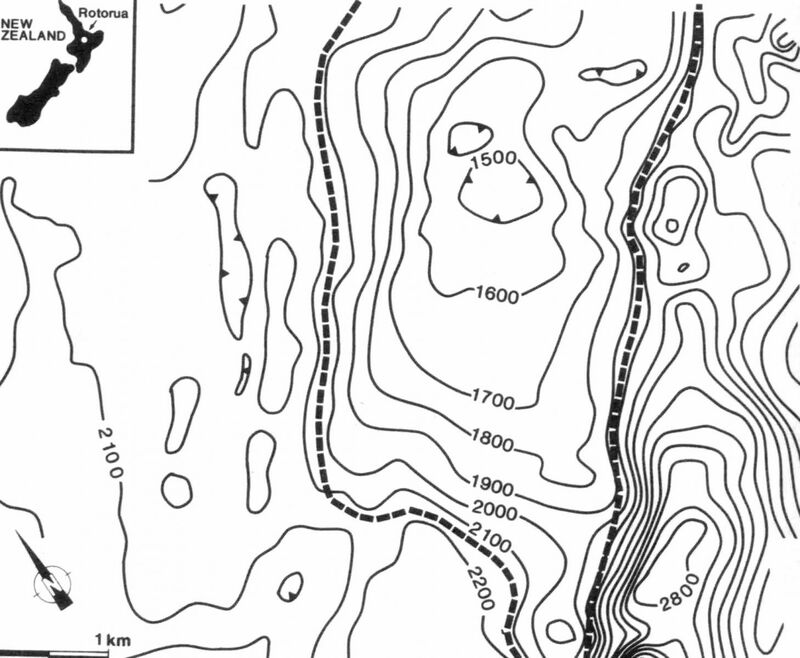 The various linear features in this map mark possible sites of gold emplacement, or conduits for fluids transporting gold.